Treat yourself to the luxury experience with a supercar rental in Monte Carlo. Among the biggest sports car manufacturers like Ferrari, Lamborghini or McLaren, it’s up to you. For your stay in Monaco, have a rental sports car delivered by MC Luxury Rental in front of your hotel in Monte Carlo, at the heliport, or in front of your yacht at Port Hercule. On the occasion of the Monaco F1 GP, rent a Ferrari 488 spider. For the Monte-Carlo Rolex Masters, opt for the rental of a Porsche 992 Carrera S convertible in Monaco. Prepare your visit to the International Luxury Top Marques Monaco, rent a Lamborghini Huracan EVO Spider. Impose yourself driving a Mercedes Benz G63 AMG Class. Expose your sports car in Monaco among the most exclusive automobiles such as the Bugatti Chiron, McLaren P1 and Porsche 918 Spyder on the Place du Casino. France, bordering the Principality of Monaco, is a place where MC Luxury Rental hire luxury cars daily. Book for a Ferrari Portofino supercar rental at Nice Airport (NCE). On the occasion of the International Cannes Film Festival, for your business trips rent a Mercedes Benz V-Class van. It will be ideal to bring your staff and customers to their hotels in Antibes, Mougins or Mandelieu airport. Upon your arrival at Marseille Marignane airport, rent a sports car to go to the Calanques of Cassis or Aix-en-Provence. For your holiday in South of France, opt for a Lamborghini Urus SUV rental in Le Castellet. For your stay in Corsica rent a car with simplicity, we deliver the vehicle to Figari Airport, Bastia or Ajaccio, or Port of Porto-Vecchio. Passing through Gordes in the Luberon region? Choose a convertible car rental such as a Mercedes Benz E-Class convertible or an Audi A5 convertible. For a business trip to the capital, have a Mercedes Benz S Class rental before your hotel, Paris Charles de Gaulle airport or Paris Orly airport. To complete your wine tours in Bordeaux, the ideal is to rent a luxury sedan BMW 7 Series limousine. Italy is an economically and culturally influential country in Europe. With MC Luxury Rental, rent a prestige car such as a Mercedes Benz E-Class cabriolet in Milan in the fashion capital. Book your Rolls Royce Cullinan SUV rental in Forte dei Marmi. During a business trip, renting a Range Rover Sport at Rome Fiumicino Airport one way will be a breeze, you can return your rental car in a different city, in Italy or in any other city. Europe. In the seaside resort of Portofino, your Ferrari 488 rental spider will do its best. Treat yourself to a romantic weekend in Florence aboard a beautiful Rolls Royce Dawn rental. Take a new SUV to Venice, rent the Mercedes Benz GLE for comfort, space and driving pleasure. On the occasion of your summer holidays in Sardinia, rent an exceptional car such as the Bentley GTC. During your stay in Sicily in Palermo, opt for the rental of a convertible car such as a BMW 4 Series. Experience the Italian dolce vita on the island of Capri, rent a Ferrari cabriolet like the California T.
Contact our luxury car rental company for business travel to Zurich in the global financial center. Choose the one-way rental of a BMW X7 4×4 at the airport in from Zurich and return your rental SUV to the location of your choice, such as Basel-Mulhouse Airport or your hotel in Bern. For your private stays, book an ultra-luxury car rental like the Rolls Royce Cullinan in Geneva. To enjoy a family weekend, it’s easy to travel to Basel aboard a prestigious rental van such as the Mercedes-Benz V-Class (8-seater). During the winter season, use MC Luxury Rental to travel to the ski resorts aboard the latest and most exclusive automobile news. Equipped with snow tires and 4WD technology to ensure your safety, you can rent a Lamborghini Urus in St. Moritz or rent a Bentley Bentayga in Zermatt. For more sensations, hire a sports car equipped with a ski trap such as the Ferrari Portofino. In good weather you can even sunbathe thanks to its retractable roof. 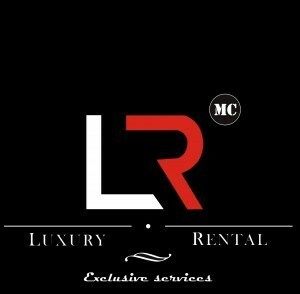 With many years of experience in the field of luxury car rental, our company MC Luxury Rental has established itself in many European countries. Rent a Bentley GTC at Vienna Schwechat Airport (VIE) will be of unrivaled simplicity. Upon your arrival in Austria, our professional driver will welcome you and give you the keys to your rental car. You can also have your Range Rover Vogue delivered to your hotel in the city of Salzburg at your convenience. During your ski holiday in the ski resort of Lech-Zurs, hire a Rolls-Royce Cullinan (ultra-luxury SUV) delivered in front of your chalet at the foot of the slopes. To organize your trip to Innsbruck in the Tyrolean capital, book a rental of luxury sedan such as an Audi A8 now. Explore the old town of Graz at the wheel of a compact and dynamic rental car, rent a Mercedes-Benz C63 S AMG class, you will cross the narrow streets without difficulty. Hire a luxury sedan, a cabriolet car, a supercar or an ultra-luxury SUV in Germany without waiting for hours at the counter of a conventional car rental agency becomes possible thanks to MC Luxury Rental. Our tailor-made services as delivery to your hotel, airport or heliport are available in Europe and throughout the country. Book a Rolls Royce Wraith now for your stay in Munich. Give yourself the pleasure of a sports car, rent a Porsche 992 S cabriolet in Düsseldorf. Combine comfort and sportiness by choosing a Range Rover Sport Supercharged rental in Frankfurt, its 525 horsepower V8 engine will amaze you. In the capital, have a rental car delivered to you at Berlin-Schönefeld International Airport or at Berlin-Tegel Airport. Opt for an SUV rental in Germany one way, with pick-up at your hotel in Hamburg and return of the vehicle to Stuttgart. Rent a timeless and manageable vehicle in the alleys of Nuremberg, opt for the rental of a Mini Cooper S convertible. Have a good time driving a sports SUV Lamborghini Urus in Cologne. Luxembourg is a European country par excellence, it stands out as a peaceful and welcoming spot. Rent an upscale car for a cultural, lifestyle and gastronomic weekend. Our premium car rental company MC Luxury Rental offers you exclusive car rental services in Luxembourg and throughout Europe. Take possession of a Porsche 992 S cabriolet from Luxembourg and return it to Paris. This one-way sports car rental will allow you to enjoy your stay until the last moment. Rent a Range Rover Sport for a walk in Echternach and its surroundings. Discover the sights of Luxembourg aboard a Mercedes-Benz GLE rental. Visit the city of Luxembourg by sunbathing in a convertible such as a BMW 8 Series Convertible. When making business appointments in the business platform, renting a BMW 7 Series limousine is a breeze. Belgium hosts the headquarters of the European Union in the city of Brussels. This country plays an important role in the economic system, but not only. Brussels is a place with a strong cultural and architectural heritage. Contact our rental agency to rent a BMW 8 Series Convertible at Brussels International Airport. Relax for a weekend in the city of Antwerp, a haven of peace with a warm welcome. For your private or business trips in Antwerp, rent a luxury sedan such as the Mercedes-Benz Classe S will allow you to maintain your daily comfort. Visit the city of Liege aboard a prestigious convertible like a Rolls-Royce Dawn. This real rolling boat will surprise you with its tailor-made options and equipment. Book now the rental of a supercar such as a Ferrari Portofino or a sports car like a Porsche 992 Carrera S one way in Belgium. In order to simplify your journeys, you can rent a luxury car at Liège airport and return it to Brussels airport. During the winter period, we strongly recommend our preferred clientele to rent a 4×4 with snow tires to overcome possible bad weather in the city of Brussels. Rent a Range Rover Sport in Liege and ensure your safety.